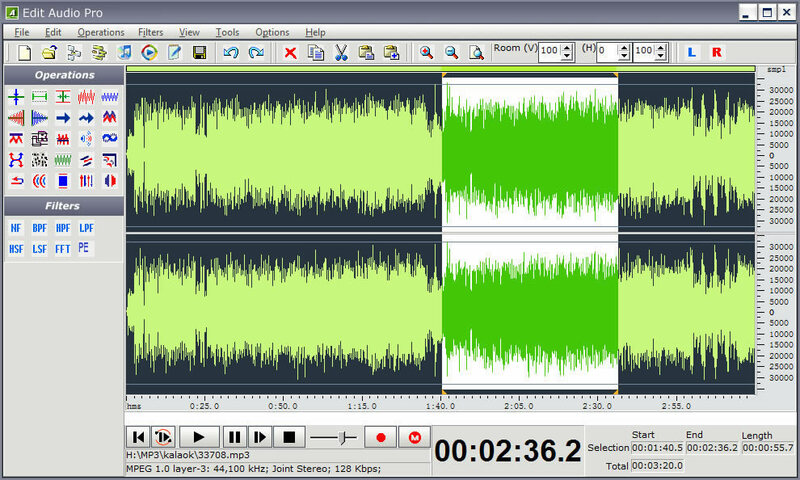 O in short: DanDans Audio Editor is an audio editing recording processing and mastering application. With its streamlined audio editing you can quickly copy cut paste and trim audio as well as split files. DanDans Audio Editor is an audio editing, recording, processing, and mastering application. With its streamlined audio editing, you can quickly copy, cut, paste and trim audio, as well as split files.DanDans Audio Editor works with all popular audio formats to edit without the quality loss caused by other editors. You can edit and modify your digitized audio in myriad different ways. It performs many utility and esoteric sound processing functions available nowhere else. You can use it to make ringtones for your phone and digitize your old LPs and cassette tapes. And you can also use it to remove any unwanted part or ads from audio files. It has a simple but attractive interface and pretty much everything you can do is intuitively obvious for anyone who has even a slight knowledge of what is going on.